What you always wanted to know about Oily Skin and the best tips to manage it. This month, our special guest Marine Vincent wanted to talk about oily skin. 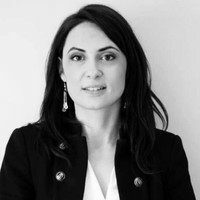 Pharmacist and founder of the great Make Me Feel (don’t hesitate to have a look at their website and their E-Shop), she explains how to purify this skin not only reserved for teenagers. Around 20% of the population suffers from skin considered as oily and another 20% fall under combination skin type. As spring is now there, the production of sebum will be triggered by the warm and humid environments, so we have gathered the best tips for minimising it. Oily skin occurs when the sebaceous glands in the skin make too much sebum. Sebum is the waxy, oily substance that protects and moisturizes the skin, that’s why sebum is good for keeping the skin healthy but with too much sebum, clogged pores, acne or oily skin can appear. 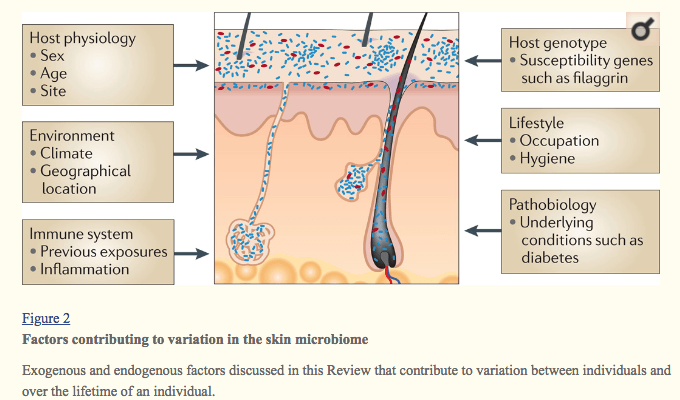 Oily skin, like all the skin disorders (dry skin), can be due to an imbalance in the composition of the microbiome (= good bacterias living on the skin and creating the ecosystem of the skin). If you want to learn more about the microbiome, don’t hesitate to read our dedicated page right here. Disruptions in the balance on either side can result in skin disorders or infections. Perturbations affecting the host–microorganism relationship can be endogenous (for example, genetic variation that selects for a specific microbial community) or exogenous (for example, hand washing). Our understanding of health, disease and infection of the skin, microbiologists, immunologists and dermatologists have partnered with genomic scientists to develop a complete characterisation of the microbiome and how it interacts with us. Genetics and Molecular Biology Branch, National Human Genome Research Institute, National Institutes of Health, Bethesda, Maryland, 20892–4442, USA. For instance, Acne is characterized by the presence of strains of the bacteria Propionibacterium acnes that secrete lipases, proteases and chemotactic factors for neutrophils, resulting in acute inflammation of the pilosebaceous unit. While P. acnes is the predominant bacterial species in oily areas of the skin, P. acnes strains in acne patients are distinct from those found in healthy individuals. Understanding the mechanisms of the dysfunction of the skin allows us to know exactly on which factors acting to prevent or treat oily skin and particularly acne.